I once worked with a project manager who insisted on reporting projects as green in every weekly status report. There were times when he would alter an issue status or hide issues from executives to “fool” them into thinking everything was OK. Sometimes this worked. The issue would get resolved and the executive never knew about it. More often than not, however, the issue would do one of two things. Word would get out and the executive would find out through the grapevine. Alternatively, the issue would persist or become larger giving the project manager no other choice but to report it to the executive. When either of these two situations occurred, the executive was surprised and had less time to react and make a decision. The project manager did not manage up to the executive appropriately. I’ve always been a proponent of transparency when reporting status. 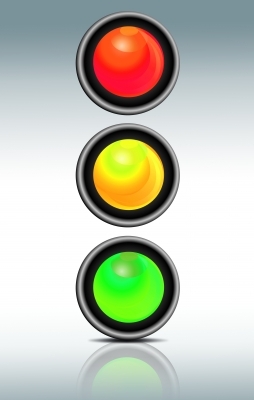 I use the “stoplight” approach for many areas of the project, reporting green if things are going well, yellow if there is any caution, and red if we are in trouble. If a project is in yellow or red status, it shouldn’t be hidden from the executives you report to. However, there are executives that panic when things are in yellow and go berserk when they see a red status. 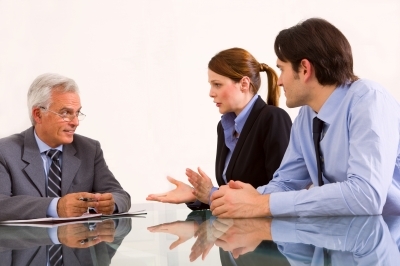 It is the project manager’s responsibility to manage up, ensuring that the executives respond appropriately. This can be done in many ways. Many executives believe the project is in deep trouble as soon as they see a yellow status. That is often the belief in a culture where the expectation is that everything is good, even when it’s bad. Green – The project is on track. There are no major issues requiring executive input. Red – An issue(s) has caused the project to be behind schedule and/or budget. Executive input is required to assist either bringing it back on track, extending the date, or increasing the budget. These definitions should level set the executive so that he or she doesn’t overreact when yellow status is reported. No executive assistance is required when reporting a yellow status. If a plan or multiple options are presented to the executive, he or she can be assured that proper steps are being taken to bring the project back to green. Telling them that “you’re working on it,” does not instill confidence in them. They are less likely to refrain from getting involved, even if you don’t require it. I’ve never met an executive that liked surprises. If you report green status one week and red the next, you’re asking for trouble. Yellow status is a heads up to them saying, “The schedule and/or budget are at risk right now but I have a plan to correct it.” When that occurs, they may give advice. They may keep a closer watch on things. Whether they do anything or not, you have given them “runway” to plan for the chance that the project goes red. As I mentioned, executives don’t like surprises. This includes yellow or red status in the status meeting. It’s always a good idea to warn the executive before the formal status meeting in front of other people. Telling him face to face is best. If that’s not possible, an email or even a phone call provides the heads up so they have a response prepared for the meeting. Some executives overreact to the yellow status. Perhaps they don’t manage up well to their own boss. Perhaps they expect every project to go perfectly at all times. Perhaps he or she isn’t a very good manager. Whatever the reason, the best way to manage up to a micromanager is to over-inform. Micromanagers need information. The less you give, the more involved they will become, thinking you must be hiding something from them. Give the micromanager updates on a frequent basis to let them know everything you’re doing to keep the project on track or to bring it back on track. The tendency with micromanagers often is to avoid them. That will only backfire. It is never fun to report yellow or red status for a project. But if you manage up to the executive, you can keep the executive informed of the status and eventually gain his or her confidence that you can manage when things do not go as planned. Have you ever had to manage up to an executive that you report to?